I had a week in the USA this month and caught this series of ads in between my son’s Lego Ninjago cartoons. There are several in the campaign and nearly all are laugh-out-loud funny. Great job by Grey New York. The acting is spot on. What also makes it is the director having an acute eye for what’s visually funny in someone suffering self-inflicted misfortune and the copywriter’s construction of the still plausible while highly unlucky chains of events. 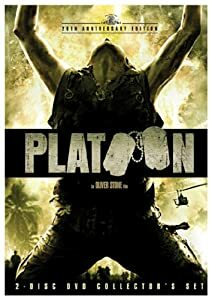 Check out one of the others that ends up with the protagonist re-enacting a scene from Platoon with Charlie Sheenin his living room. I know advertising isn’t there just to make my little demographic chuckle, but it’s nice when it does. This entry was posted in 21st Century Britain, All Over The World, Brand communications and tagged Advertising, brand communications, Comedy, communications, marketing, USA. Bookmark the permalink.